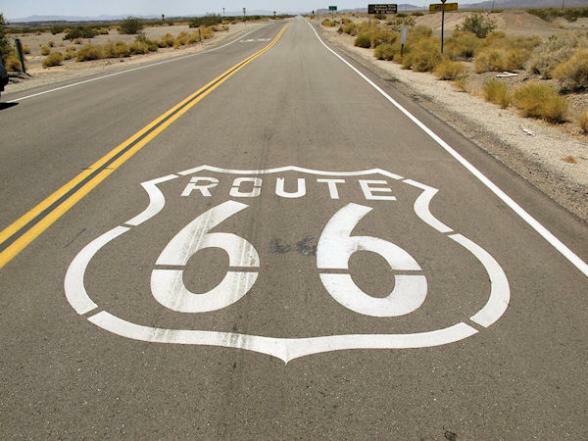 Have you ever wanted to ride legendary 66 Route but don't have the time to do the full route? 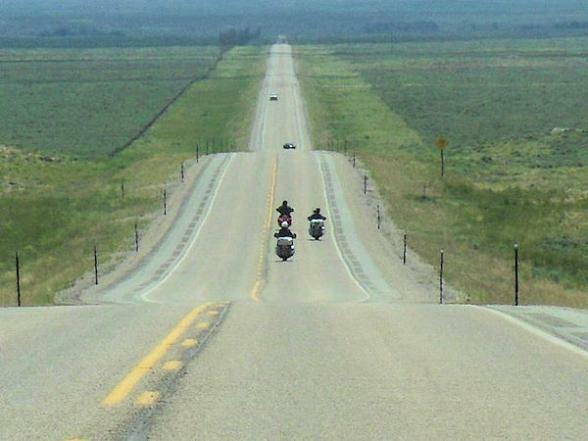 Well, our nine day guided motorcycle trip might just work. Kicking off in Albuquerque, just 230 miles shy of the halfway point in Adrian, Texas it continues on through New Mexico, Nevada, Arizona and California. 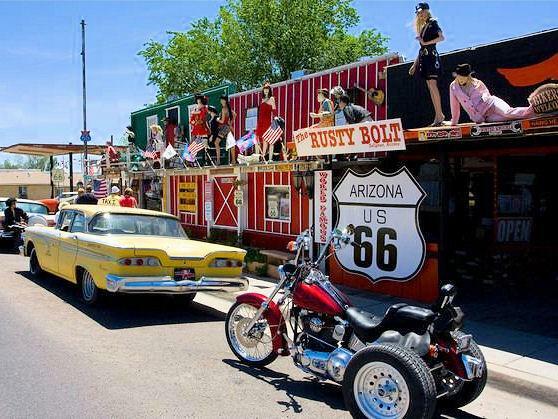 Small town America, stunning scenery, vibrant cities and, of course, those quirky Route 66 roadside attractions. This tour includes VIP insurance. SLI insurance is NOT available on this tour, please call Bon Voyage for full details. 2019: 17 April, 8 May, 15 May, 22 May, 5 June, 12 June, 3 July, 10 July, 24 July, 7 August, 21 August, 4 September, 10 September, 11 September, 25 September, 2 October, 16 October and 30 October. Advance registrations for 2020 now available, please call Bon Voyage for further details. Arrive into Albuquerque and enjoy an evening at leisure. 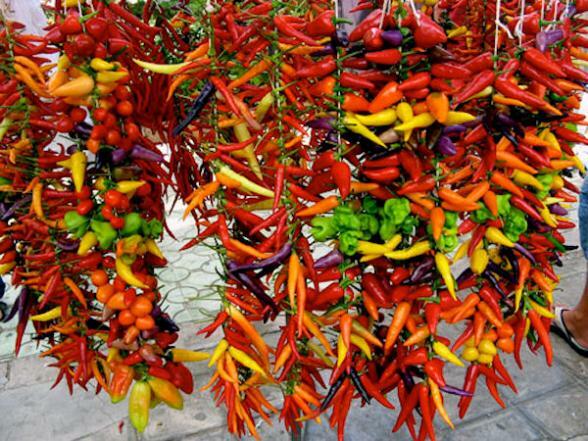 Head to lively, historic Old Town which dates back to 1706, for a cool beer and some mouth-watering Mexican food. You'll be met early by your guides and whisked off to the depot to collect your chosen bike. 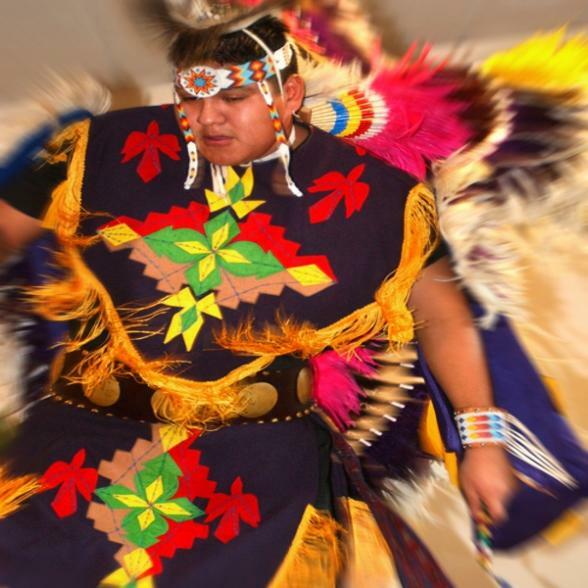 Journey through the land of the Comanche Indians and enjoy the views over the mountains as you head up into the High Plains of Central New Mexico. 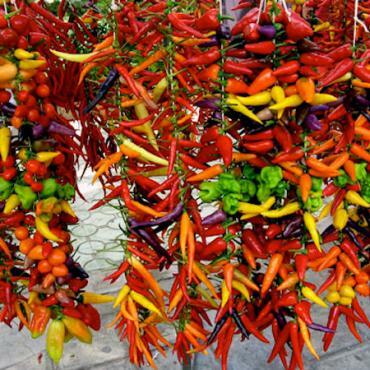 Once in Santa Fe, enjoy the day exploring on foot or head off on the bike to the old Native American town of Taos. Today is all about the WIDE OPEN SPACE of the American West. Head south back down to Albuquerque crossing the Rio Grande and west for miles and miles of Navajo wilderness. Journey through the towering trees of the Cibola National Forest up to Gallup, an old railroad town and an Indian stronghold. 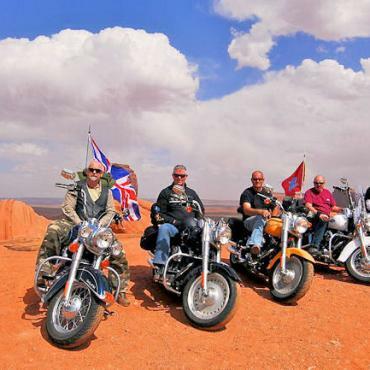 It's also a fun biker town and you're sure to enjoy an evening on the tiles with your fellow travellers! 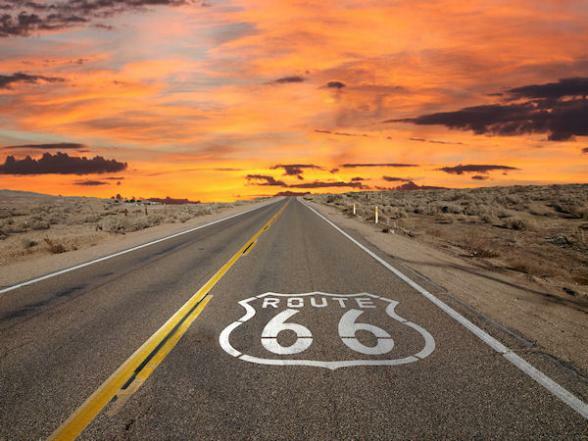 Today is another huge day, full of spectacular scenery and iconic Route 66 stops. Cross the border into Arizona and ride to Petrified Forest National Park, a fossilized prehistoric forest of gigantic trees unearthed by erosion. Explore this stunning landscape and take a moment to get lost in the expansiveness that defines this area. Leaving Petrified Forest NP, travel further west to the Wigwam Hotel in Holbrook and stop to stand on the corner in Winslow, Arizona! 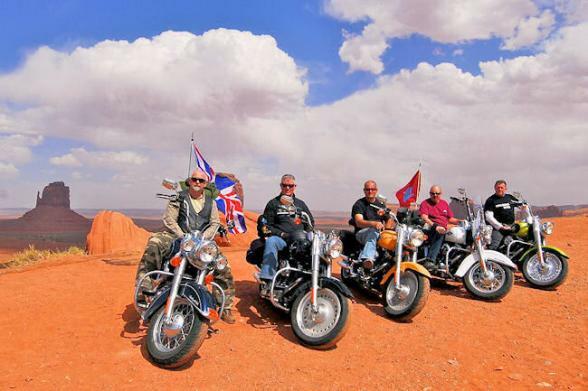 While most groups stop in Flagstaff or Williams, you'll ride on to spend the night just one mile from the South Rim of the Grand Canyon....WOW! 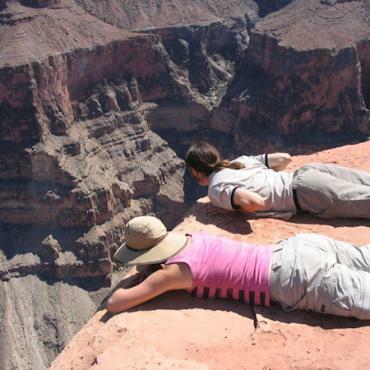 How about starting the day with a helicopter tour over the Grand Canyon? Early morning is best and we can pre-book this for you. 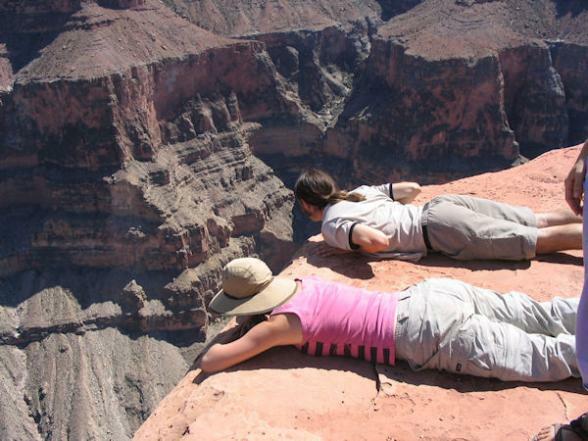 You'll then have time to ride along the rim for one last look at the granddaddy of all natural wonders before heading off to explore some of Arizona's most quirky Route 66 towns en route to Laughlin. 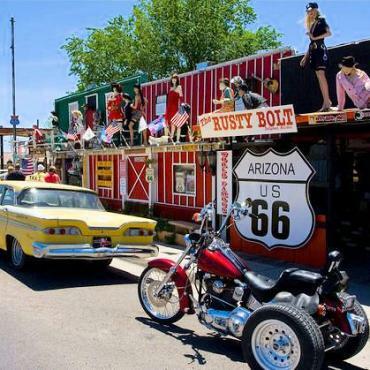 Ride through the Old West Ghost Town of Oatman and journey across the Hoover Dam straddling the Arizona/Nevada border before arriving in fabulously O.T.T Las Vegas! 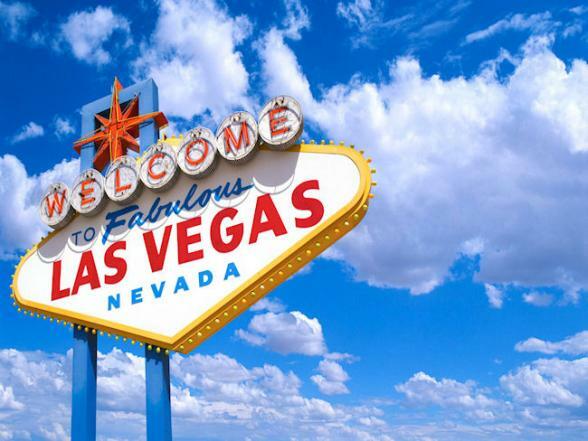 If The Strip isn't exactly your bag, head off to the Valley of Fire, Red Rock Canyon or Mount Charleston for a some seriously impressive rides. 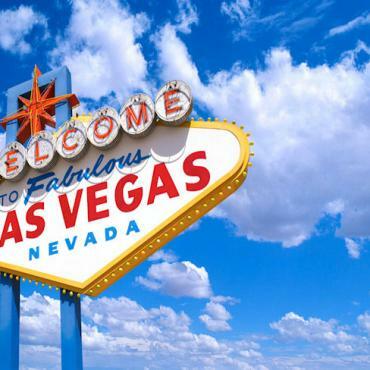 Come nightfall, enjoy first-class restaurants and some of the best entertainment in the USA. 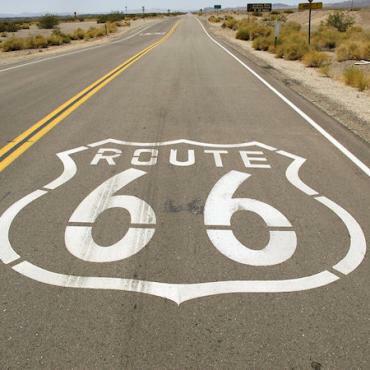 Today, cross the border into your final State on Route 66 – California. 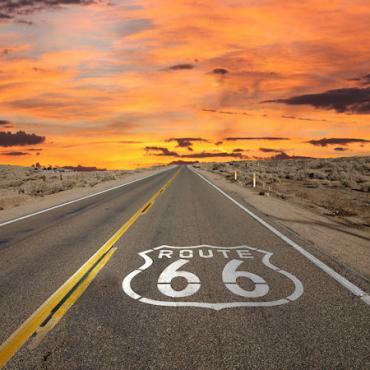 One thing is for sure, traversing the Mojave Desert will provide some of the most dramatic scenery in Southern California and possibly the whole of Route 66. You can imagine what it must have been like for early travelers making their way across this huge expanse of desert, dotted with Joshua Trees, cactus, volcanic rock and sand. The end of Route 66 is historic Santa Monica Pier. 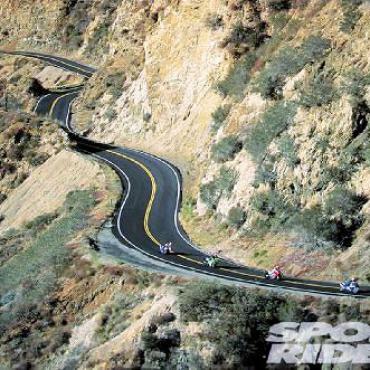 To get there, you'll ride 66 miles of the Angeles Crest Highway through the mountainous terrain of Angeles National Forest. 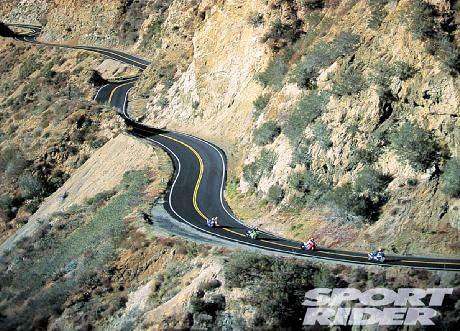 Considered one of the top motorcycle rides in southern California, it rises over 2300 meters. Next, descend the Crest into the Los Angeles Basin towards the Pacific Ocean and stand at the "End of the Trail" sign on the pier. 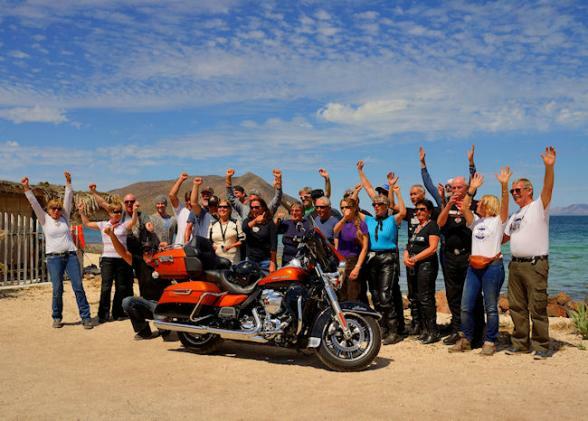 There is a sense of joy and elation at having completed a journey most people only dream about, and a sense of sadness at the thought of the ride having come to an end, but you'll celebrate the miles ridden and friends made at a farewell dinner. You'll have the morning free in LA before your early afternoon flight back to the UK. 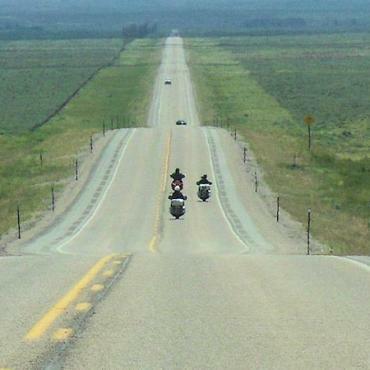 Unless, why not keep the bike for a couple more days and head off on your own up to San Francisco along the Pacific Coast Highway? 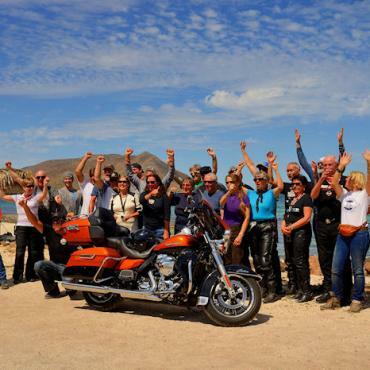 Call the team of USA experts at Bon Voyage to discuss your ideal tailor-made Harley holiday.